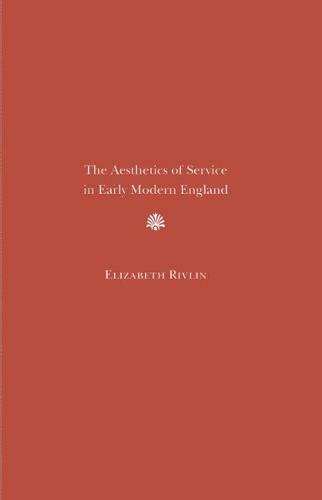 In The Aesthetics of Service in Early Modern England, Elizabeth Rivlin explores the ways in which servant-master relationships reshaped literature. The early modern servant is enjoined to obey his or her master out of dutiful love, but the servant's duty actually amounts to standing in for the master, a move that opens the possibility of becoming master. Rivlin shows that service is fundamentally a representational practice, in which the servant who acts for a master merges with the servant who acts as a master. Rivlin argues that in the early modern period, servants found new positions as subjects and authors found new forms of literature. Representations of servants and masters became a site of contact between pressing material concerns and evolving aesthetic ones. Offering readings of dramas by Shakespeare, Jonson, and Thomas Dekker and prose fictions by Thomas Deloney and Thomas Nashe, Rivlin suggests that these authors discovered their own exciting and unstable projects in the servants they created.